The UV data logger with USB is a small UV control system, compact and of high quality for prolonged recording. 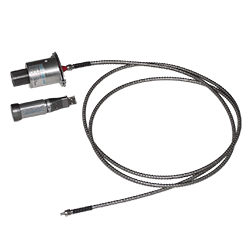 The UV data logger has been developed to record the UV intensity in mW/cm2 of low pressure transmitters for water sterilisation or other sources of UV radiation. The UV data logger allows personalised settings. 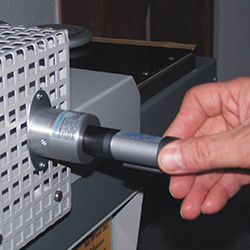 The UV data logger has a special housing for pressure that is particularly suitable to record over a long period intensity UV water sterilisation. 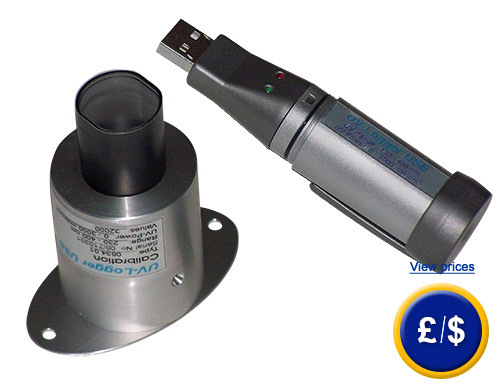 The basic version of the UV data logger consists of a measuring head attached to the lamp housing and a USB pen. To measure high temperatures (350 ° C plus) you can optionally purchase an optical fiber SMA adapter for the UV data logger with USB. The USB stick / pen can record up to 32,000 values. The duration of the measurement is inversely proportional to the measurement range. With a share range of maximum 1 measurement value per second, the UV data logger can register data for 9 h, whilst for a 5 minutes measurement, it will record data over a period of 3 months. The UV data logger with USB port is supplied with special analysis software to transmit and display the measured data graphically on a PC. Should you require any assistance with the UV data logger, do not hesitate to contuct us on: UK customers +44(0) 23 809 870 30 / US customers +1-410-387-7703. Our technicians and engineers will be happy to advise you on this UV data logger and on any product of our regulation and control systems, measuring instruments or the scales and balances. 1 x UV data logger with sensor (one model), 1 x battery, 1 x software and instructions for use.